*This post contains affiliate links in which I earn a small commission. The products in this giveway were supplied by Beauty by Earth but I have not been paid to feature them. All opinions are my own. 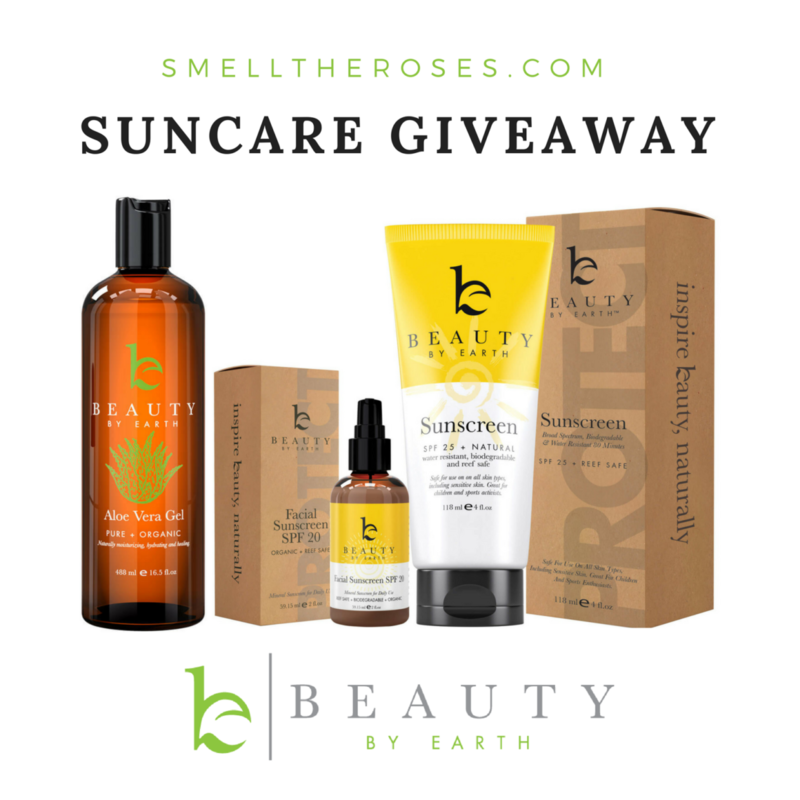 I have teamed up with my friends at Beauty by Earth for an awesome Suncare Giveaway! 🌞 If you read my post on staying safe in the sun, you may have noticed I recommended their sunscreen as an alternative to conventional brands and for good reason! Their products are completely natural, cruelty-free, reef-safe, non-toxic, and, most importantly, effective! I used them on my last trip to Hawaii and quickly fell in love. I have no doubt whoever wins will love them too! You may enter the giveaway anytime between March 22th and March 31st 11:59 pm EST. The winner will be randomly generated using the Gleam Plugin and announced April 1st at approximately 12:00 pm EST on this blog post, Instagram, Facebook, and Twitter. The products in this giveaway were supplied by Beauty by Earth. I have not been paid to feature this brand. 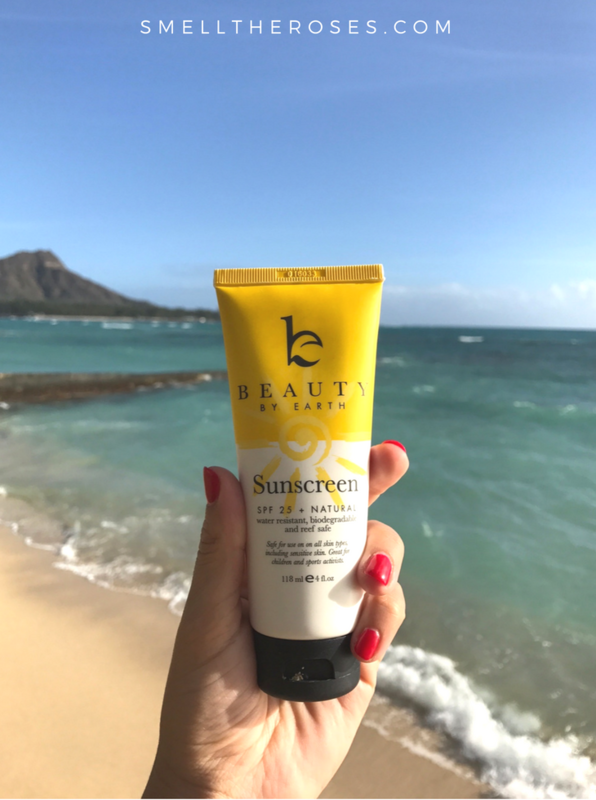 As covered in my sun safety post, one of the most important factors to consider when purchasing sunscreen is whether or not it provides broad-spectrum coverage. 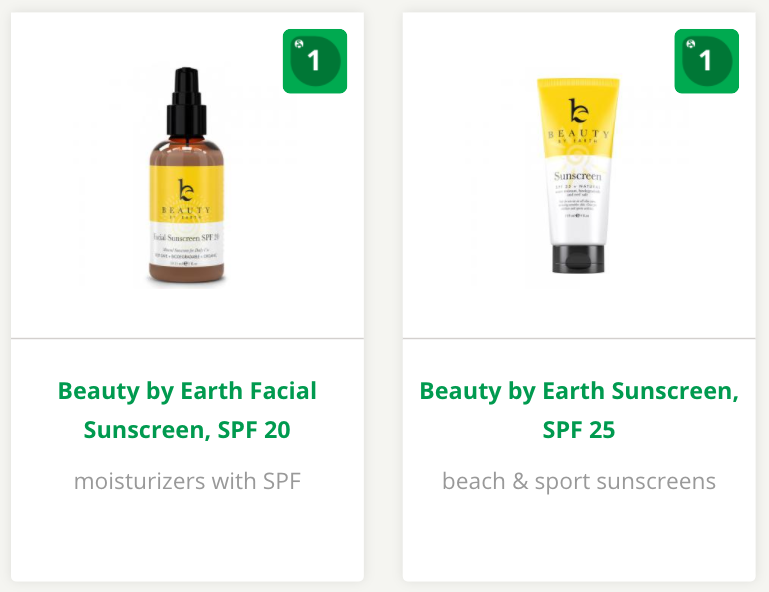 Both the Beauty by Earth SPF 25 Sunscreen and SPF 20 Facial Sunscreen are labeled broad-spectrum! 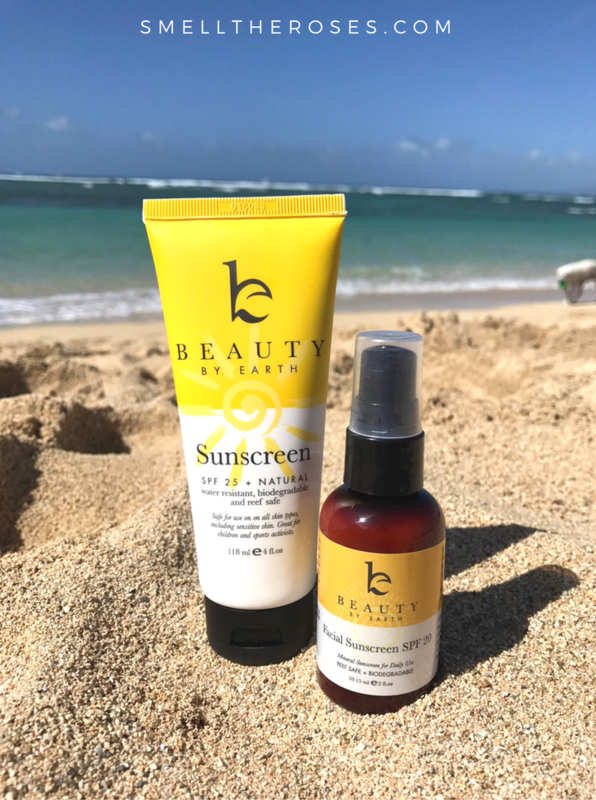 Although it is recommended you apply your sunscreen 15 minutes before sun exposure, one of the benefits of Beauty by Earth’s sunscreens being formulated with Zinc Oxide is that they work immediately. While chemical sunscreens need time to be absorbed by the skin, physical sunscreens work like a shield to the sun’s rays. This sunscreen is the best Zinc Oxide-based sunscreen I have found so far. The formula is definitely going to seem thick to someone who is used to conventional sunscreens but that is normal for Zinc Oxide-based sunscreens (I’ll take a thicker formula that is clean over a thinner chemical filled formula any day). Still, I do find the sunscreen fairly easy to rub in. It can leave a very subtle white tint on the body but I found this only happens when my legs are very dry. When I was on vacation, there was no whiteness if I had moisturized that morning. However, I actually liked when it was slightly visible because it showed me if I missed a spot or needed to reapply! How to Use: Apply a liberal amount to all exposed areas of the body. Rub in until sunscreen is no longer or barely visible. Reapply every 2 hours or after prolonged time in the water. Rubs in easily compared to other Zinc Oxide sunscreens. 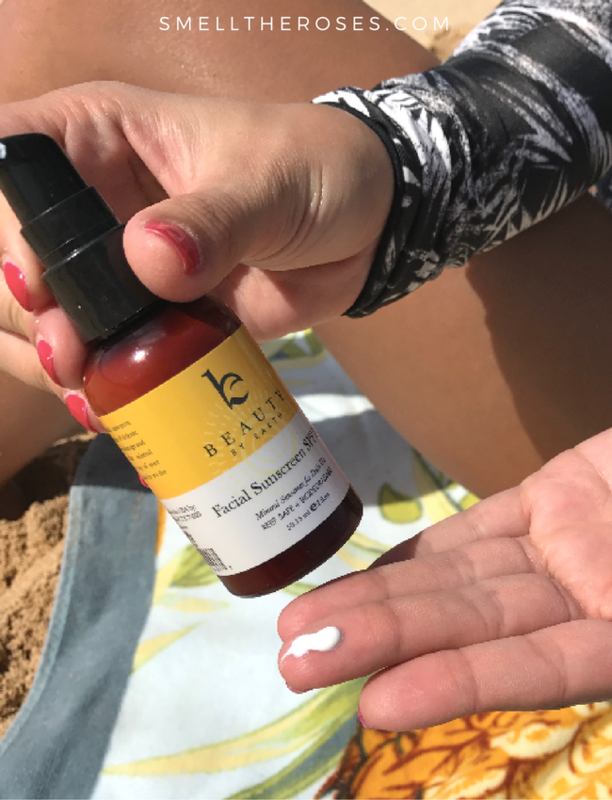 This facial sunscreen is light enough for everyday wear but strong enough for a full day at the beach. Beach Day: I use one pump (about a pea size amount) and spread it all over my face until completely rubbed in. If I feel I need to add more, I do so only after the initial application has been rubbed in. Using this method prevented my face from turning “white” like we are all afraid of! Reapply every 2 hours while in direct sunlight. Everyday Wear: Apply one pump to the entire face until completely rubbed in. Wait 5-10 minutes for sunscreen to dry. Apply makeup as usual and set with a finishing powder to prevent shine (I recommend the “Un” Powder by RMS). *If exposed, apply to neck and chest too! Rubs in easily & feels lightweight. Doesn’t make my skin feel greasy. Leaves no white tint – perfect for under makeup. For Burns or Sunburn: Apply a thin layer over burned area. The burn will immediately feel cooled and soothed (some people like to put the aloe vera in the fridge for additional relief). 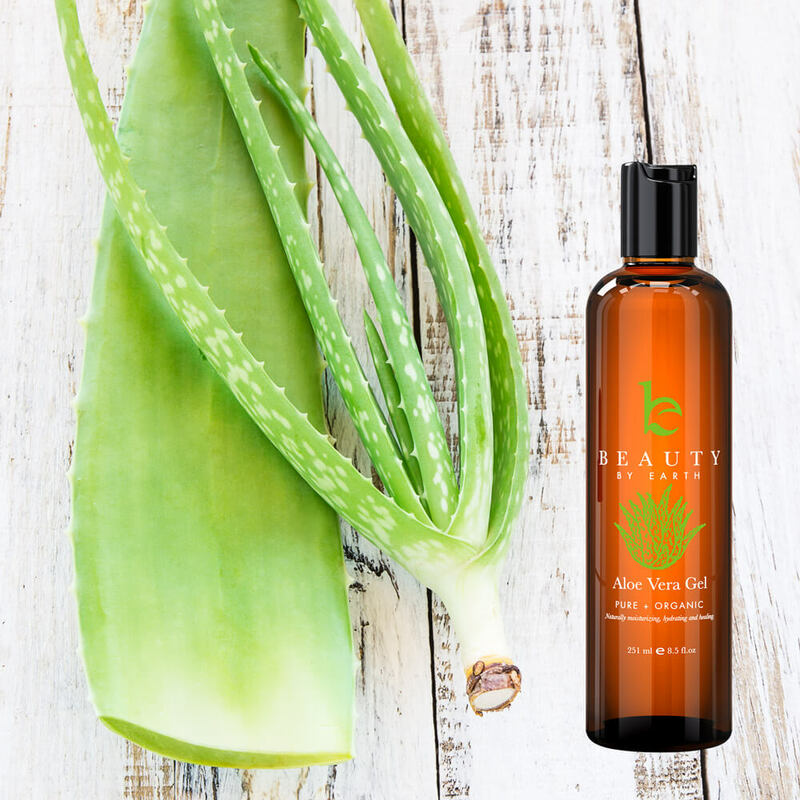 The aloe vera will keep the skin moisturized and help speed the healing process. Reapply 2-3 times a day until the burn has healed. For Minor Cuts: Apply a thin layer 2-3 times a day. The gel will act as a natural disinfectant! As a Moisturizer: Apply a thin layer to the area you would like to moisturize. The gel is nongreasy so it can be applied before makeup. It is also a great aftershave product – softens skin and will heal tiny cuts! As a Makeup Remover: Apply a small amount of gel to a cotton ball to gently remove makeup around your eyes and face. For Hair: Treat dandruff and dry scalp by applying the gel to roots/scalp at nighttime. Wash hair normally in the AM. Some people also use the gel as a hair styling product! Other Uses: diaper rash, acne treatment, eczema, bruises, poison ivy/oak, soothe bug bites, etc..
Can be used for so much more than sunburn! Love using on my legs/armpits after shaving. My fiance can use it as an aftershave too! I hope you loved this review as much as I loved writing it! Make sure to enter the giveaway and come back each day for bonus entries. If you’re interested in shopping for these or other products from Beauty by Earth, code “SMELLTHEROSES” will save you 15% off your entire order in their online store. Want to learn why I ditched conventional suncare products? It’s not just because they weren’t cruelty-free… Read this post! This suncare giveaway ends March 31st at 11:59 pm! Good Luck! I am very fair skinned that tends to burn easily.. it would be a godsend! Such a great giveaway! It’s definitely harder to find a natural sunscreen that doesn’t leave you looking white. Would love to try these out! This is a brand that i trust for my sensitive skin. Plus having a nice scent is a plus. These products are just what my family needs. So many positive attributes makes these sun care products a must have collection. Thanks for the opportunity to try them out! I’m dying to try these products! Thanks for the chance to possibly do so! 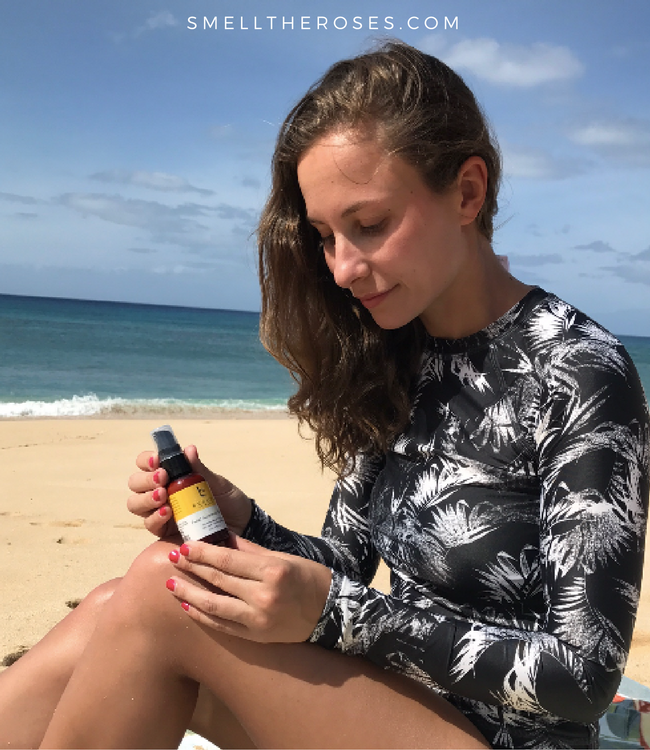 This is a very interesting write up on natural sunscreen. Natural products that don’t introduce toxins into the body are the way to go. What good does repelling the sun do if the product poisons your system. Love the idea that these do not make you choose between damage from the sun and not going outside! With sensitive skin it is a consideration, and I love that these are actually beneficial to your skin! Also appreciate that the containers when ending up in a landfill won’t kill animals that live there. Now perhaps you can make a bug repellent that actually works and doesn’t poison you at the same time! I enjoy using safe natural products as they are so much better for my skin. I want to win because I want to better protect mine and my family’s skin this summer with a product that is cruelty free 🐰 and safe for kids to use! I would love to try this sun care line, Living in Arizona sun care products are very important to me! I would love to win a natural sunscreen. This would be awesome living at the lake. I have very fair skin and burn easily so am always on the look out for a good sunscreen. This looks like what I need. 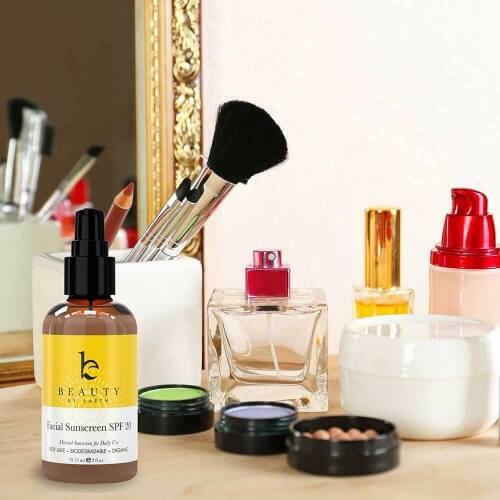 Awesome, I love the Beauty by Earth brand. It’s great that their sunblock is reef safe as well as cruelty free! I spend a lot of time outside, I’d love to try these skincare products. I love any sunscreen that goes on light under makeup! I would love to win because I want to use products that are safe and also effective. Sun protection is essential to skin cancer prevention. Awesome post! I’ve never really put much mind into the sunscreens I was using. It’s crazy to think about what harm they’re doing to my own body as well as the marine life in the area. I would love to win this giveaway to start to convert my family over to cleaner suncare products!! I’d love to win this because I still didn’t find natural sunscreen that works well, and I am light skinned, so I need my sunscreen all the time . I love the fact that the sunscreen is thick and also safe to use on kids! I have a fair skinned and burn so easily. I like that these products are good for sensitive skin and also are more natural and organic ingredients. I like knowing I’m not loading up on toxins every time I slather on sunscreen. Sunscreen especially made for the face is important for me. I tend to break out easily. With summer around the corner this would be a great prize to win!! 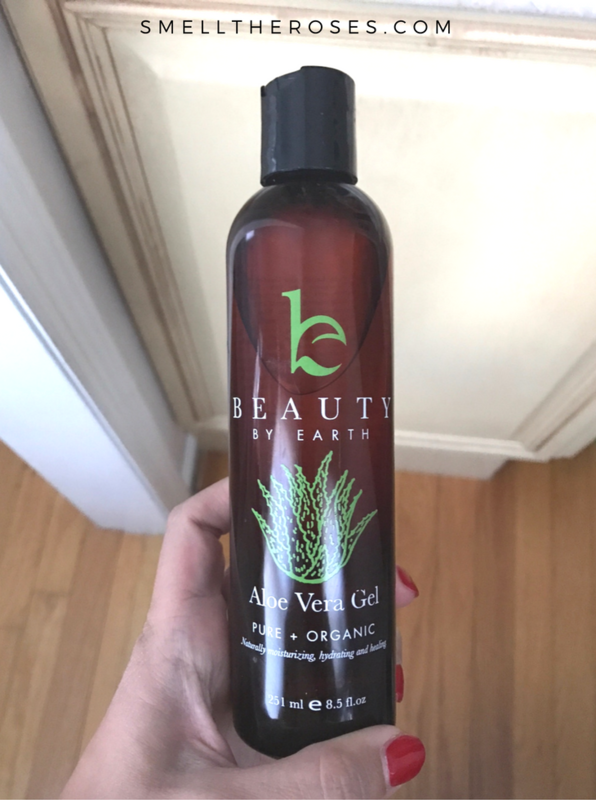 I would like to win because I love natural products like this for my skin.I love that they would not only protect my skin from harmful rays but also has other beneficial factors that help my skin from looking dried out.I love to try new products like this that I can apply on a daily basis under my make up. I love that their products are natural and cruelty free. I need a new sunscreen for the summer months. I think this is great as sunscreen is a very important part of my day, everyday of the year. I have super sensitive skin so I think these products would be perfect for me! I was actually thinking about ordering the sunscreen to try! I love the bath bombs but they are the only product I have tried so far. I LOVE NATURAL SUNSCREENS! I HATE PUTTING TOO MANY CHEMICALS ON MY KIDS OR MYSELF FOR THE POOL DAYS AND BEACH DAYS! 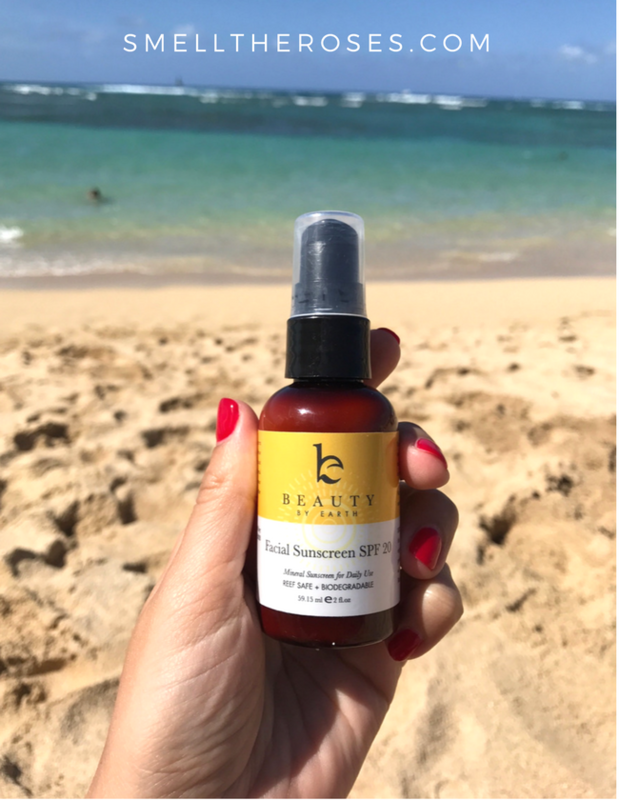 I have been looking to find a good natural sunscreen and I believe I have just found it!!! I love that it is mostly organic. I like that it is light weight. Thanks! I would love to try a natural sunscreen. Tired of using all these chemicals. I would love to win this because presently I do not use any sunscreen for myself or my children due to the toxic ingredients in most. I just cover everyone up and limit our time in the sun. I’ve just heard about this brand and would love to try their products. Still looking for an SPF product that doesn’t leave a white cast on me. This looks very promising and the fact that it is all natural is totally amazing! I would love to win this for my daughter who is a vegan. These products sounds amazing. I spend a lot of time outside and have been looking for natural sunscreen products. Finally!! Somebody is doing good for us and nature!! Way to pave the road!! I’m very proud and happy. Makes me hopeful for the future. If it works as good as you say, you have done an excellent job! Excited to try your product!! Very informational. Thanks for sharing this blog and doing this giveaway. This would be an amazing giveaway win. I heard amazing things about this brand! Can’t wait to try them out!! Will the face sunscreen cause breakouts? Also I’m fairly new to instagram and am still trying to understand it how do I repost? Hi Kathryn! The sunscreen did not cause me to breakout and Beauty by Earth claims it is safe for troublesome skin so it shouldn’t! I found it very lightweight and not greasy at all. However, everyone’s skin is different so I can’t guarantee you will have the same experience. Hope this helps! Thank you for this great giveaway ! , I would love to win this giveaway because i have heard great reviews about your product and could benefit from it.